George and Mitchell (and their two dogs, Ted and Otto) moved into our Derby Queen Mary Court development in June 2018. George is the Head of Faculty at a local secondary school and Mitchell works in the construction industry. 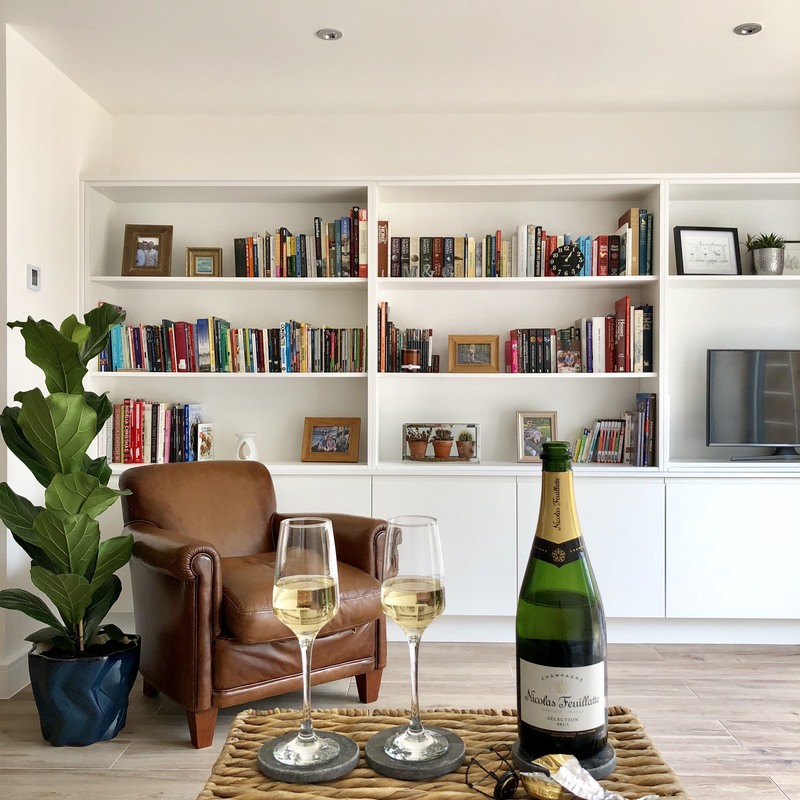 Here they tell us why they decided to move to our Queen Mary Court development just off Duffield Road and how they became new build converts! 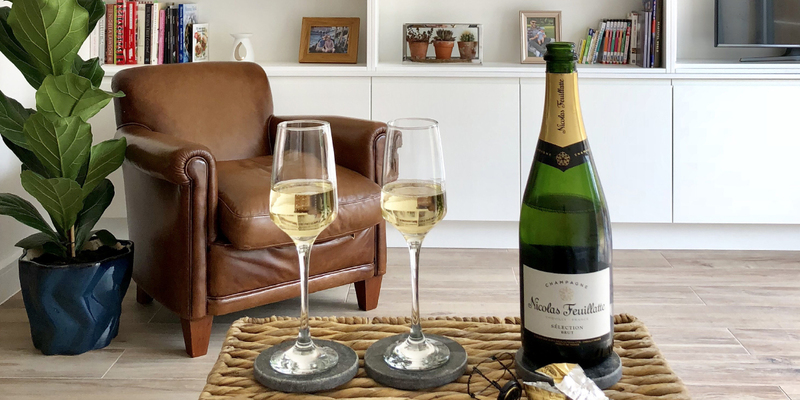 A glass of champagne to celebrate the first day in their new home! “Before moving to Queen Mary Court we had only lived in period properties together. 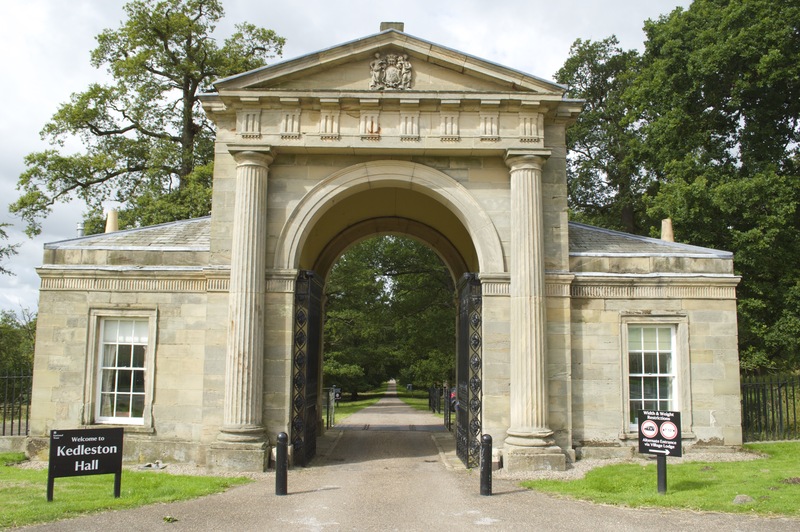 Our first home was quite unusual as it was a gatehouse called North Lodge which stands at the entrance to Kedleston Hall. It was perfect as Mitchell was studying neoclassical architecture as part of his History degree and working for the National Trust. It was an incredible experience living at North Lodge. The parkland is absolutely breath taking and once the visitors had gone home for the day you essentially had the grounds all to yourself! It felt like an adventure, we would build fires every evening and immerse ourselves in the rural lifestyle. However, it wasn’t perfect. In the winter the house was absolutely freezing, as there was no central heating and only single glazing! We ended up spending a fortune on electricity to try and make it warmer! The other main disadvantage was that if you needed to use the bathroom in the middle of the night you had to literally cross the road to get to the other side of the house! 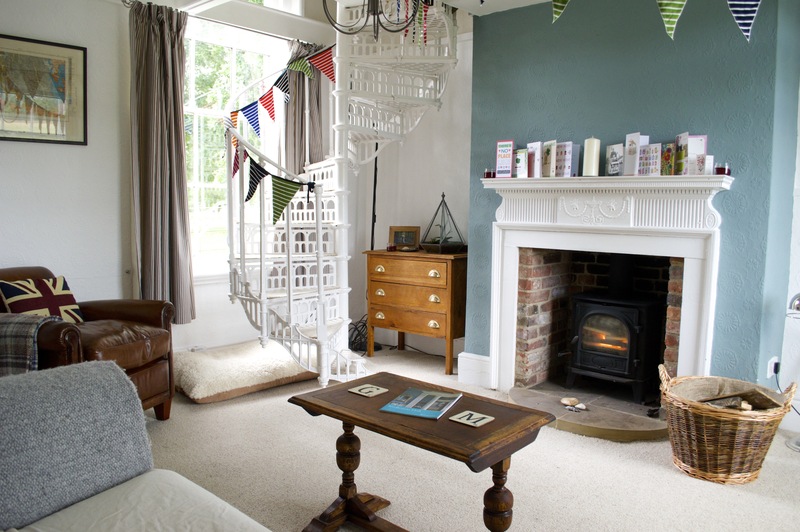 A year later we moved on from North Lodge and bought a Victorian terrace house, as we wanted something a little more conventional whilst retaining the charm of a period home. 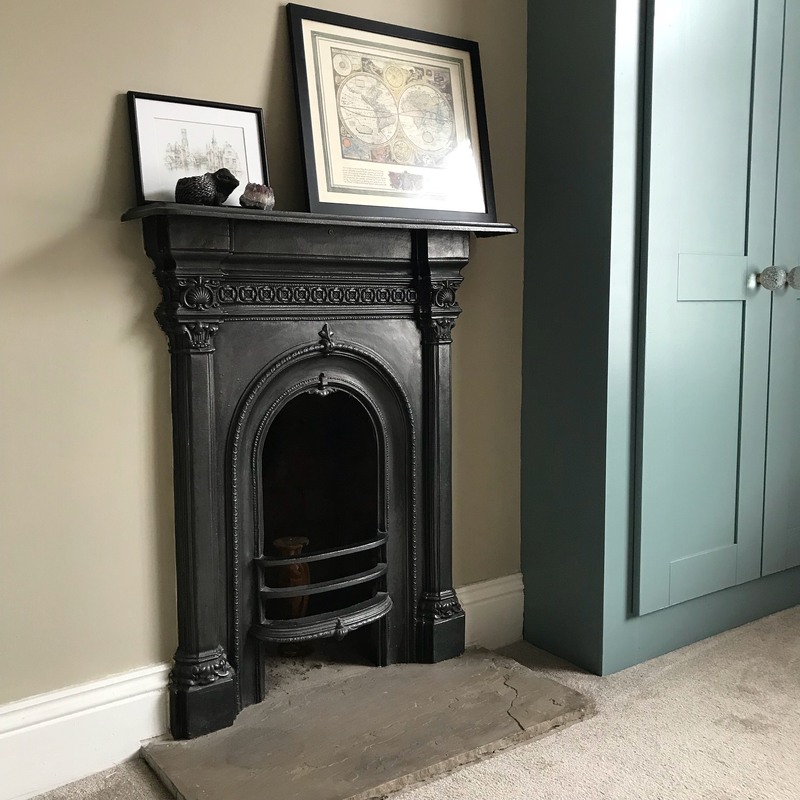 Shortly after moving to our Victorian terrace we set to work renovating the entire house, reinstating the original features. 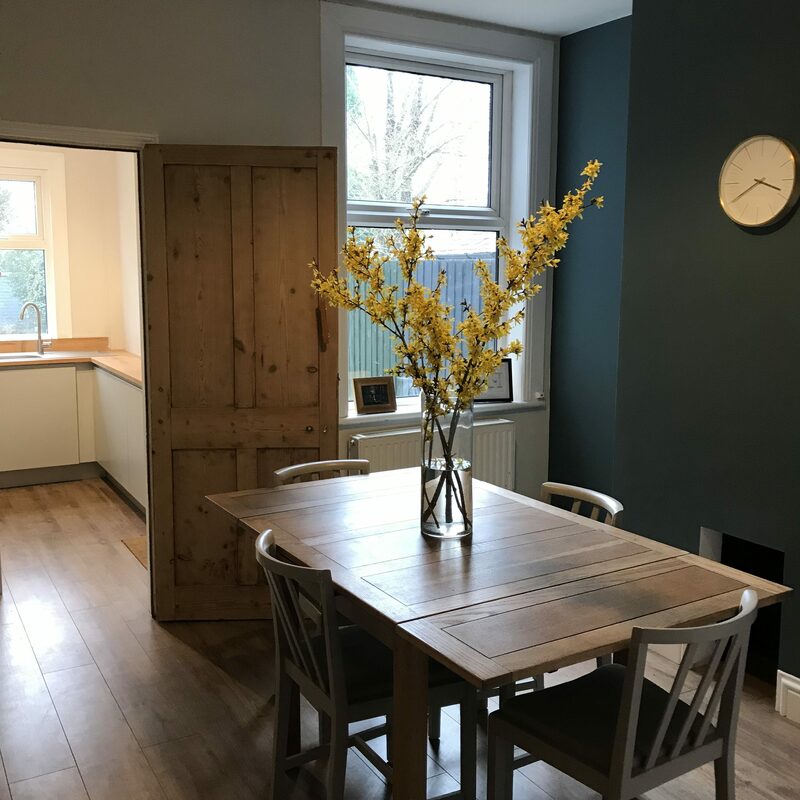 We stripped and plastered all the walls, installed a new kitchen and bathroom, replaced the central heating, landscaped the garden, redecorated and put new floors in. It was absolutely exhausting trying to juggle the renovation whilst working full time jobs and completing academic studies. However, we were delighted with how it looked in the end but agreed that the renovation was far harder than we anticipated it might be. A few years after moving into our Victorian house we were walking our dogs in the local area when we passed Meadowview’s Oaklands development. We both commented on how cool the we thought the houses looked and decided to book a viewing, more out of curiosity than anything else! We were able to visit a house on the development that was near completion and we immediately fell in love with it and decided that we wanted to buy one! This was incredibly out of character for us as we previously were adamant that we would never move into a new build. We had the impression that they lacked character and charm. We also disliked the fact that many of the new build properties we had seen were finished to a low spec and sometimes were poor quality. It was clear that Meadowview Homes were offering something very different. Firstly, their developments are very small. There are only 9 houses on our street and there are no other houses that look like it on their other sites as they have been specially designed for the local area. Secondly, Meadowview homes are built to such a high standard. We adored the solid oak banisters and doors and Neff kitchen appliances that came as standard. We also appreciated the fact that the pricing was transparent and that there were no hidden costs so we didn’t have to fork out more money than we had budgeted. Thirdly, we were so impressed with how energy efficient the houses were, particularly in comparison to our older homes. Not only has this saved money, it’s also far better from an environmental perspective. Finally, we loved the fact we could make key decisions about our home and build it exactly as we wanted. For example, we really wanted a fitted bookcase to display our books. Having discussed this with Meadowview Homes, we quickly drew a mock up on the back of an envelope. Within a few days, Meadowview came back to us with a design for a bespoke shelving unit that perfectly complemented the room. This goes far beyond what you would get with a standard house-building firm. To find the home of your dreams and discover more about our latest developments, click here.